Joseph Hogan is the foundress of Loreto Convent, Lucknow. 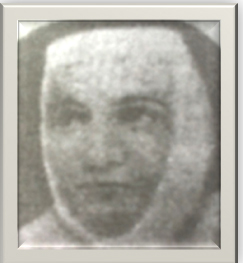 She arrived in the year 1872 at the invitation of the Catholic Bishop, and with six other Loreto Sisters who accompanied her, she set up a school in a small house near the church provided by the Parish Priest in what is now Shahnajaf Road. This house soon proved too small for the number of pupils who flocked to the school and so Hogan shifted to what later became the Royal Hotel on Vidhan Sabha Marg. Here they spent 8 years before moving to the present site in 1881. Hogan was born and brought up in Ireland. She attended school at Loreto Abbey, Rathfarnham in Dublin. As a young sister she was the joy of the community- always good humored, considerate to all and ready for any task. Before leaving for India she was in charge of several Loreto schools in Ireland. She had been a sister for twelve years when Mother Teresa Ball decided to send a second contingent of sisters to India and chose her to lead it. She Ireland for Calcutta on March 21st, 1844. After setting the new institution on its feet,Joseph Hogan returned to Darjeeling where she died in 1884 and she lies at rest in the little Convent cemetery there.